Trout Lab: Remote Monitoring System for "Steelhead in the Classroom"
Critical to the success of Steelhead in the Classroom is the ability for students, teachers and their coaches to continuously maintain optimal conditions for trout. There is currently no cost effective device that monitors the critical factors affecting trout egg growth. Students from the Department of Engineering at Sonoma State University, in partnership with Redwood Empire Trout Unlimited, are building a solution. 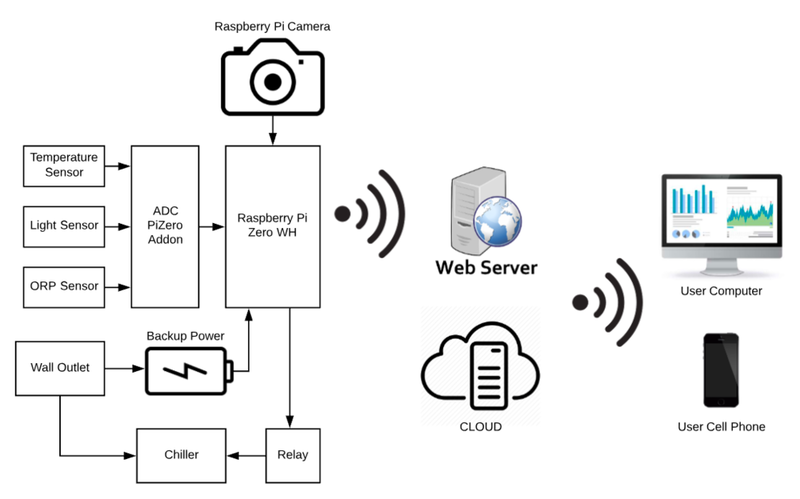 The device the students have developed solves this problem - it will monitor water temperature, ORP (Oxidation Reduction Potential), measure light, and quality while sending all of the data online for remote monitoring by students, teachers and coaches. This is the high level diagram which shows a simple to understand interface of the whole system. This high level diagram shows detailed design interfaces for our whole system. Brandon is a fourth year undergraduate student in the Electrical Engineering program at SSU. He is currently the President of the Sonoma State Electrical Engineering club. He is skilled in hardware design and programming. His hobbies include listening to music, hanging out with friends, and drawing. Nick is an engineering science student at Sonoma State University, where he works as Student Janitor and Theater Technician. His skills include hardware design, and debugging, Python 3 programming, Postgres databasing, and mathematical modeling. He recently participated in an internship at Blackbag Technologies in San Jose, CA. in his free time he rides his bike, cooks, ans plays various video and table top games. After graduation he hopes to find a engineering job. 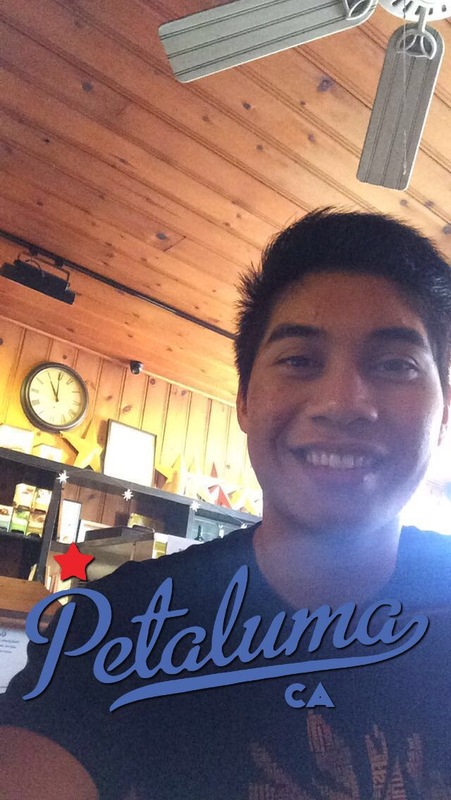 Jireh Alberto is currently an undergraduate student at Sonoma State University class of 2019. He is trying to pursue a successful career as an Electrical Engineer straight out of a four year state program. His hobbies include playing basketball, traveling, and playing the guitar. His skills include circuit design, microcontrollers, digital logic and design, and basic computer programming. RETU Board member Tom Greer is a passionate fly fisherman, and small business owner. At Gizmo Design, Inc, he designs and develops new products for various clients. Otherwise, you can find him fly fishing, riding his bike, skiing, and enjoying the outdoors with family and friends. …and scaring cats with any number of stringed instruments. 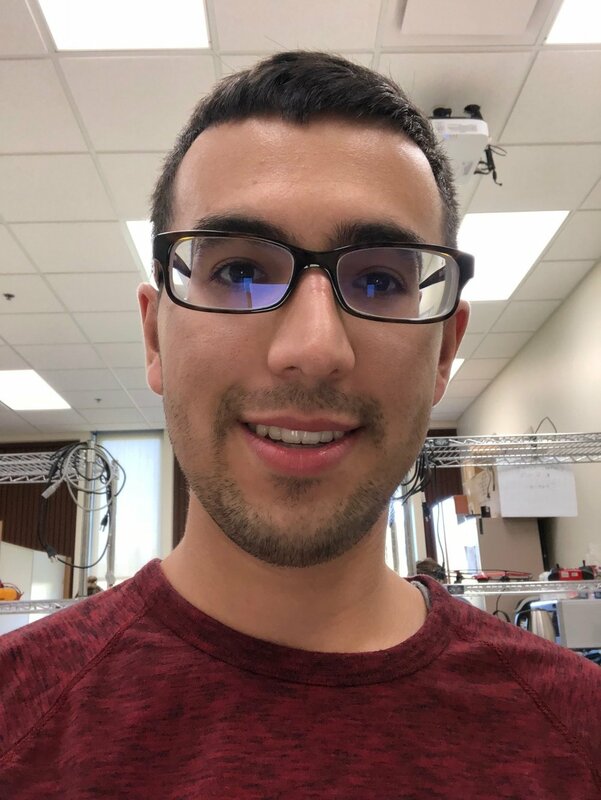 Ali is an Adjunct Professor at the Engineering Science Department since Fall 2003 and have developed and taught many courses and advised many graduate and undergraduate students in their projects. He received his M.S. and Ph.D. in EE in 1974 from University of Pennsylvania, PA. He has over 22 years of R&D experience at IBM, AT&T Bell Labs (a Distinguished Member of Technical Staff), and Alcatel-Lucent, and over 20 years of academic experience at several institutions including Drexel University in PA and Stevens Institute of Technologies in NJ. His areas of interest are secure real-time applications over the Internet, broadband access, and metropolitan networks.